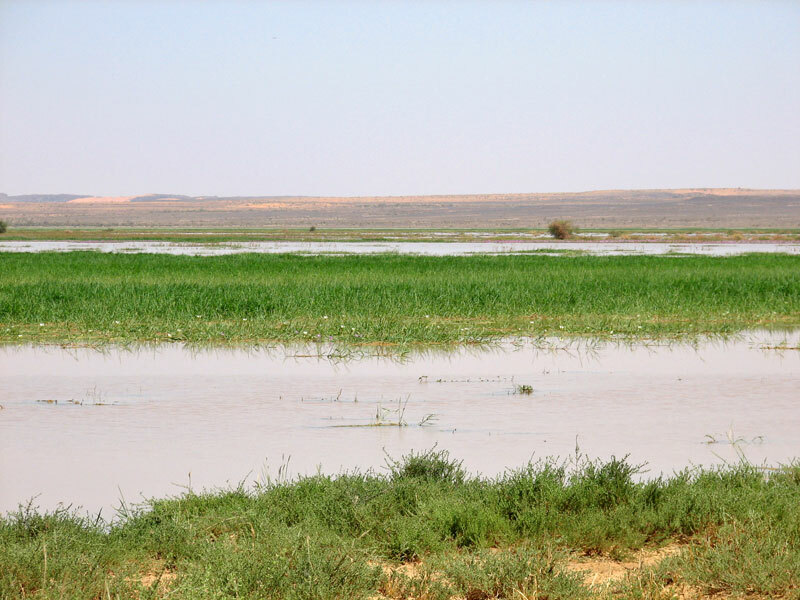 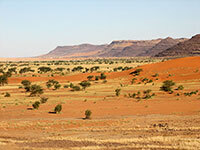 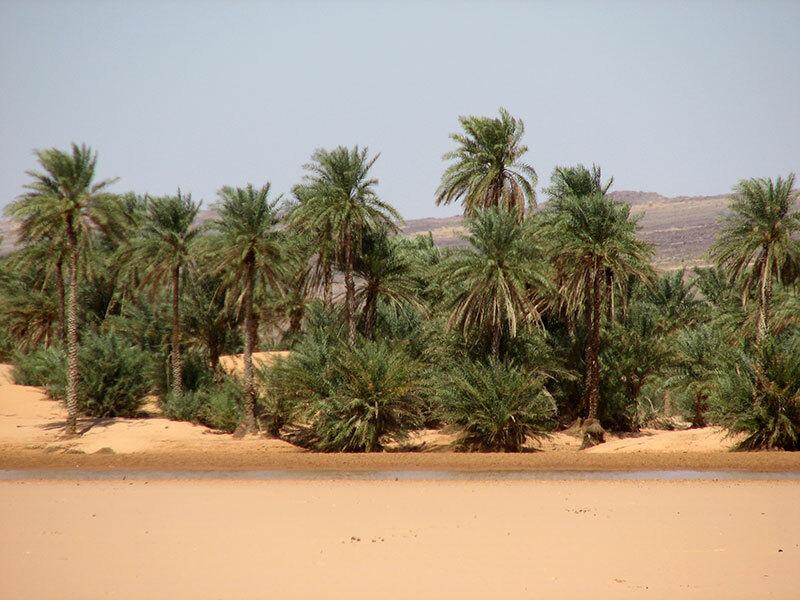 The Tagant Plateau (Tagant means forest in Berber) is in the Wilaya (province) of Tagant in Mauritania. 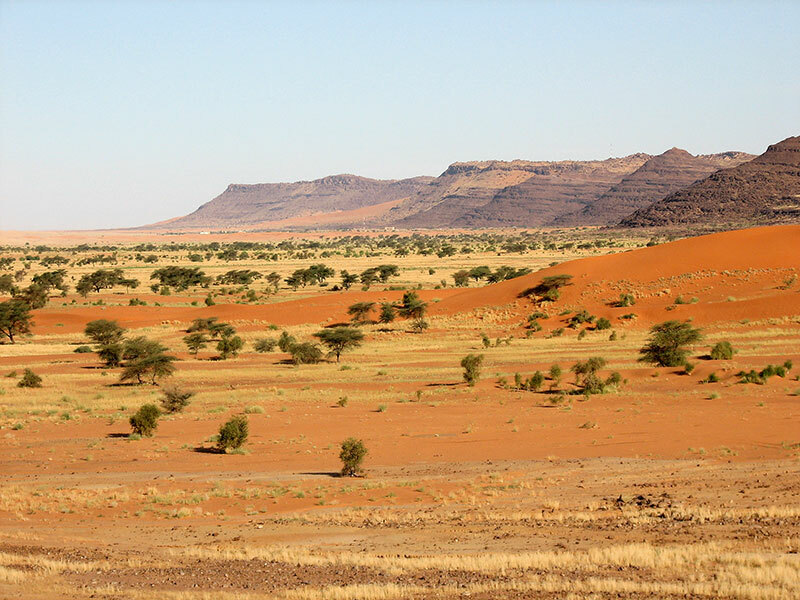 It forms part of the chain of mountainous escarpments separating the Sahara from the Atlantic coast and from the Senegal river basin. 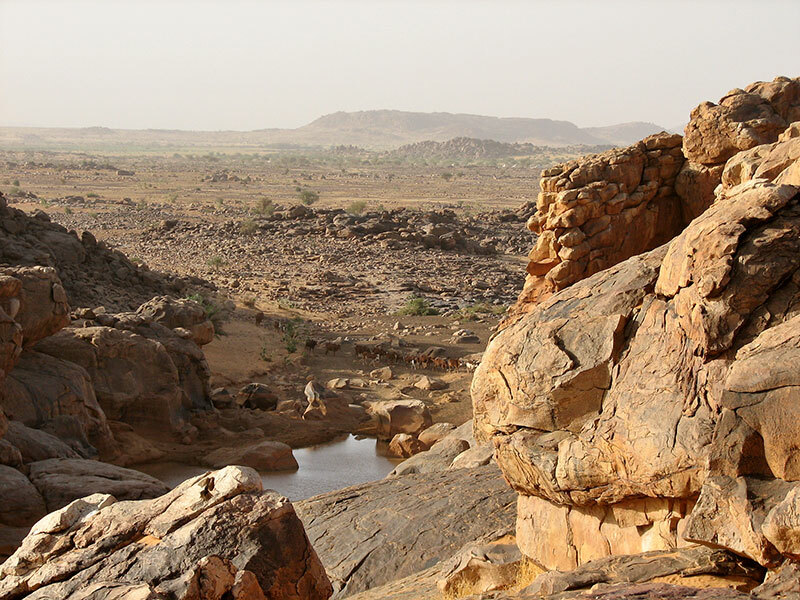 Its usually dry rivers(wadis) form a catchment area which drains northwards into the impressive Lake Gabou. 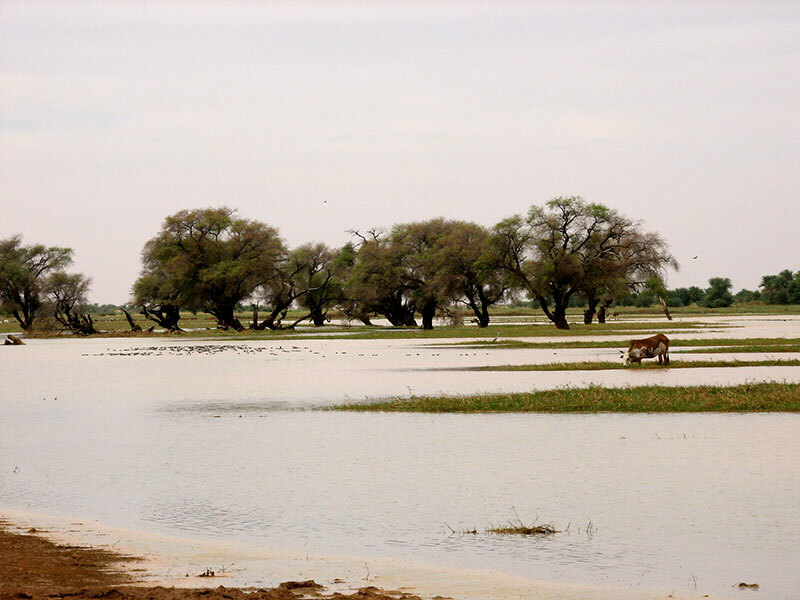 Following the rains some water remains in a chain of pools (gueltas), lagoons (tamourts) and palm groves which contrast with the typical sands and pebbles of the desert. 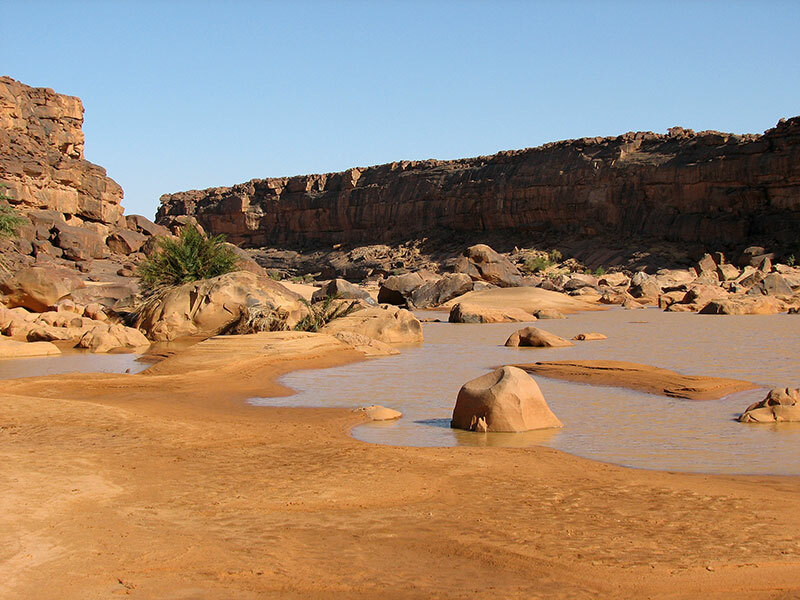 Both its history and wildlife make the plateau an attractive destination for anyone interested in exploring this southern fringe of the Sahara.